An Indian kitchen is incomplete without the spice dabba! And one constant that most people use (and like!) is the interesting and tasty spice- Cinnamon. 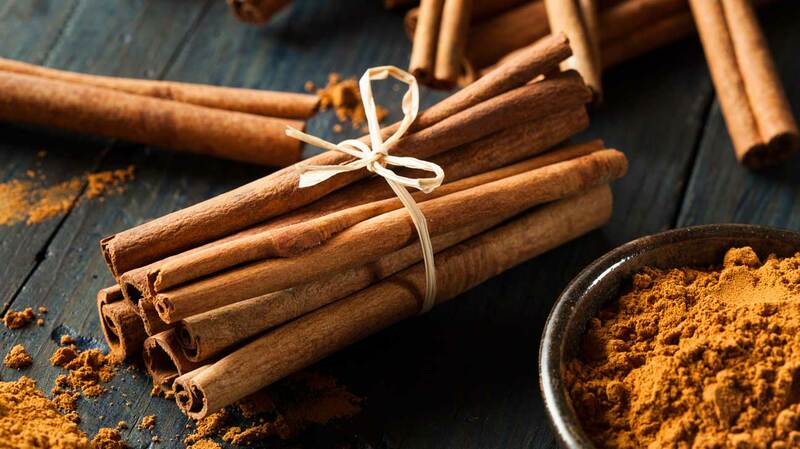 Cinnamon is a spice obtained from the inner bark of trees that belong to the genus “Cinnamomum” and the species is known as Cinnamomum verum/ Cinnamomum cassia. The name cinnamon comes from the Greek word kinnamomon. In Tamil, it is known as “lavang” and in Hindi it is known as Dal Chini. In Sanskrit- cinnamon is known as Tamaalapatram. It has been used by humans since as early as 2000 BC. It was used by Egyptians for embalming and also as an ingredient in anointing oil. Later when the Arab traders bought it to Europe- it became famous throughout Europe. There is a reference of Cinnamon being used as anointing oil in Bible as well. Legend has it that the Roman king Nero burned town tones of cinnamon sticks on the funeral pyre of his second wife Poppaea Sabina in A.D. 65. Cinnamon was considered as a “luxury price” due to the cumbersome modes of transport employed by the Arabs when they bought it to Europe. Hence a status symbol was associated with this spice in the Middle Ages. Cinnamon is mainly cultivated in Indonesia, China, India and Vietnam. Also- it is observed that cinnamon from Sri Lanka has a highly fragrant aroma. Over the years, mechanical devices have been developed to ensure the premium quality of the products. Though in-depth analysis would yield many varieties of cinnamon, the commonly recognised classification is Chinese and Ceylon Cinnamon. The two varieties of cinnamon, Chinese and Ceylon, have a similar flavour, however, the cinnamon from Ceylon is slightly sweeter, more refined and more difficult to find in local markets. Cinnamon has got multiple culinary uses. It’s primarily used as a spice and a flavouring material. It is used in many of the desserts and- apple pie, doughnuts to name a few. It is also used in pickling. Due to its famous taste- it finds its place in Turkish, Persian, Indian and Middle East cuisines. Among the medical benefits that this wonder spice has to offer- blood sugar control stands out as the primary healing usage. According to certain reports, it is found to have a 3-5% effect on blood sugar levels- hence it has been found useful on certain Type II Diabetics. It is also noted to be an anti-bacterial agent and hence used as a remedy for stomach upsets. Cinnamon also finds a place in essential oils to treat Candida Yeast infections. It is also known to cure Irritable Bowel Syndrome and Arthritis- by applying the cinnamon oil- though there is no concrete evidence suggesting the same. If you are under medication for any ailment- get a nod from your practitioner before you use it in your recipes. Due to its anti-bacterial properties- it is considered as a natural food preservative. It is also effective in developing insect resistant food packaging film. Latest studies from Washington State University have proved that cinnamon oil was helpful in killing bacteria strains such as E.coli. hence, it has been found to be helpful in keeping food-borne diseases at bay. Cinnamon oil- that is extracted from the leaf is considered to be non toxic. Its use as a component in essential oils helps toning the body and stimulates the glandular system- thus easing the pains arising from menstrual cramps. It also increases alertness and concentration. Cinnamon helps increase blood circulation which boosts metabolism- and hence helps in weight loss. The aroma is found to be a mood enhancer and cures depression and associated symptoms. Though not many research studies and reports validate this, cinnamon has been found useful in treating infertility. It contains a natural chemical called cinnamaldehyde, which studies show increases the hormone progesterone and decreases testosterone production in women, helping to balance hormones. In Indian cooking- cinnamon is used as a spice in making the famous biriyani/vegetable pulao. Another very famous recipe is the cinnamon rolls. It is also used to enhance the flavour of apple milkshakes or apple pies. Happy cooking with cinnamon! Also read: Did you know about the different varieties of milk?